One of the most anticipated devices right now is the Sony Xperia ZU. Screenshots from a prototype confirm most of the high-end specs that you would expect from a unit like this. The only difference from expectations is with the screen size which is listed at 6.21 inches instead of the 6.44 inches that the screen was supposed to measure. The difference could be Sony's navigation bar. And while .23 of an inch might not sound like a lot, it would be the difference between calling the Sony Xperia ZU a large-screened phone and calling it the largest screened model in the industry. Currently, that honor goes to the Samsung Galaxy Mega 6.3 with its 6.3 inch panel. The rest of the specs confirmed by the phone's system info page include the Qualcomm MSM8974 Snapdragon 800 chipset and the Adreno 330 GPU. Android 4.2.2 is listed as running the phone. There is also 16GB of native storage and 2GB of RAM. In other words, everything you've been hearing about the device appears to be true. 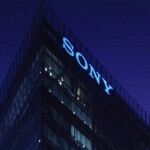 Sony has an event coming on June 25th in Germany at which time the Sony Xperia ZU could be introduced. Now these are deep blacks finally. Not grayish. Agreed with you. But I think they have removed TFT screen and triluminos display should be under the hood. Hope so. Waiting desperately. Hopefully it should be better, but Triluminos (quantum dot) technology is still LCD-based. I think in time, it should have many competitive qualities, like being flexible/unbreakable and deep blacks, but right now the tech isn't mature enough. Some qualities right now is that it has much better viewing angles, great contrast, and somewhat less power consumption. Sony's Triluminos TV demo is still backlit though, and thus will not have deep blacks. LCD is god too. HTC One, HUAWEI ASCEND D2 and Droid DNA have gorgeous displays. LCD is better than OLED (at least for today). Better? really?. If sony use Oled you will say "OLED is better than LCD (at least for today)." Seems that you new her right? What Sony has to do with my comment about LCD and OLED? who else in delima of wanting to buy this phone. i like that its big but what will i do with that big phone? i wont be reading all the time nor watching youtube all day. so when does that big screen come handy? it would be nightmare to use while biking or to take it to gym :/ i should wait for that other sony mystery phone. I'm in the same boat as you. From what has been leaked this a gorgeous phone with an even better spec sheet, but it's just too big. The Honami seems like a better fit, but it's still gonna be a tough decision. Obviously. It is Goddamn 6.21 inches device. this^ i hope they should make same specs but it has 5.5"
Can't wait for the announcement. Just need a U.S release date. Bring it on, Sony! As long as it's as compact as ZL with minimal bezel, I'm in. Unfortunately, with Sony, there is generally a bit of a delay between announcement and shipping to stores. Somehow I suspect other phones will be available to purchase with the S800/Adreno 330 chipset before the new Sony is available. I hope it has a 6.45" like, ive been reading about since its inception. Id be very disappointed if it werent. Granted theres nothing i can really do about it if otherwise.